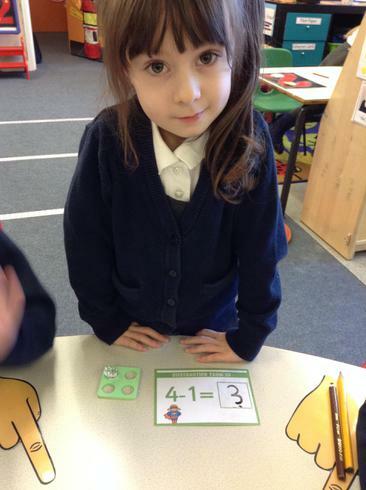 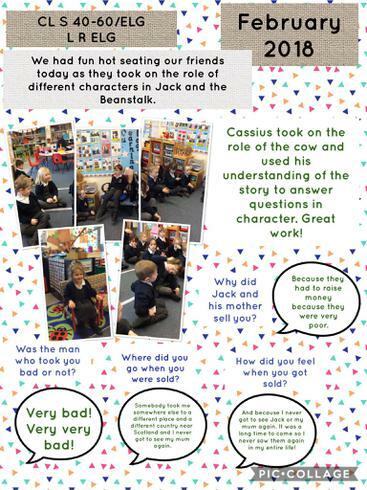 We have been using Talk for Writing to learn the story of The Three Little Pigs! 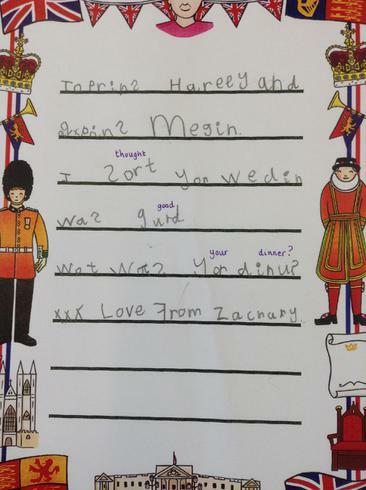 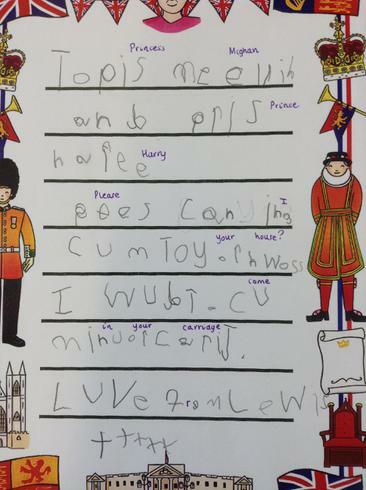 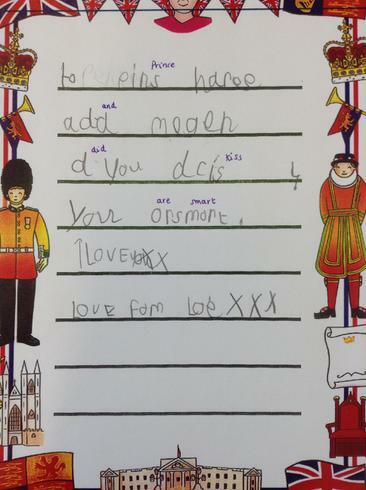 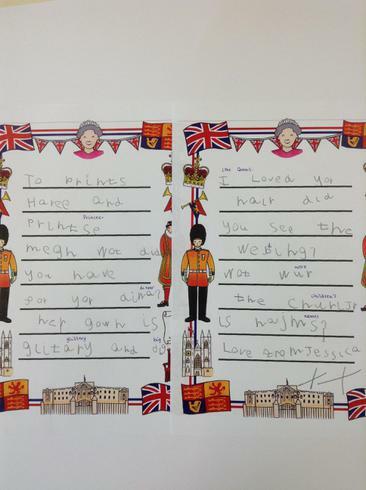 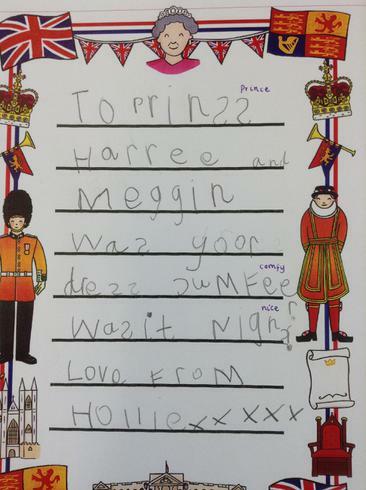 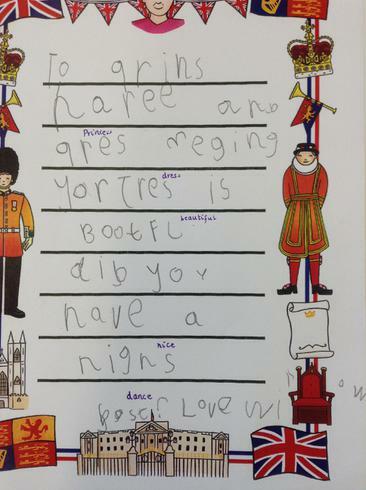 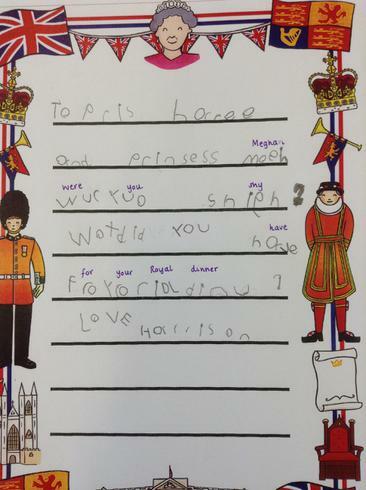 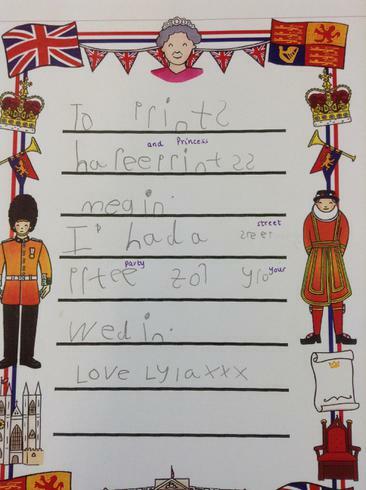 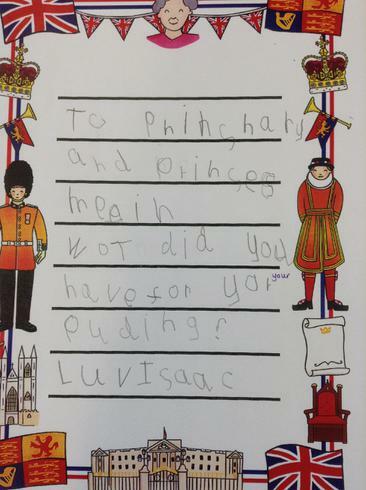 We have been writing to the Royal Family! 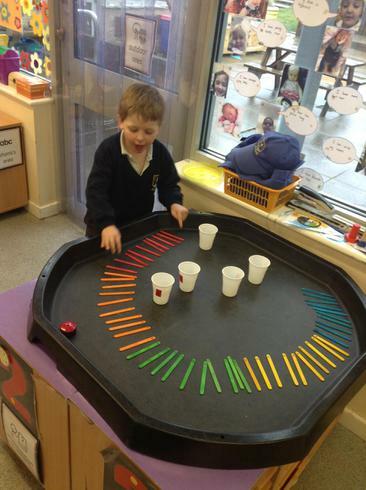 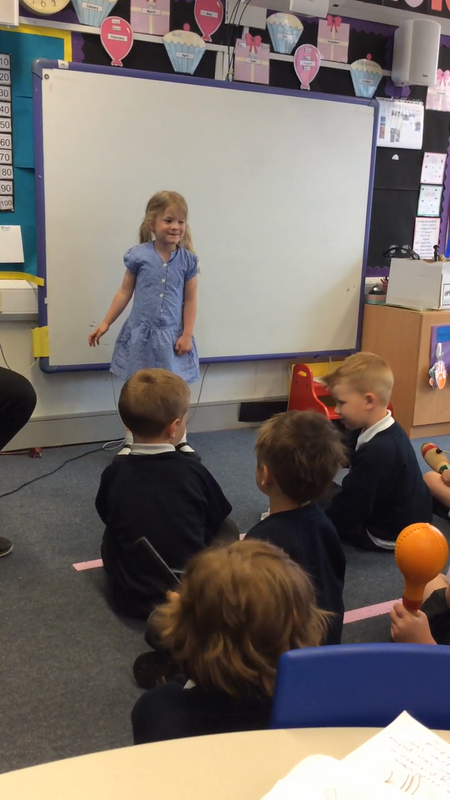 Today Elliott the 'Music Man' came into RTC to teach us to play different instruments. 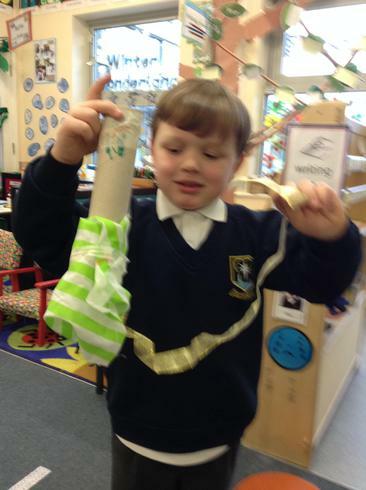 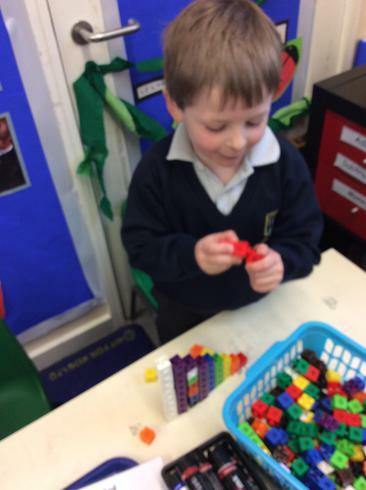 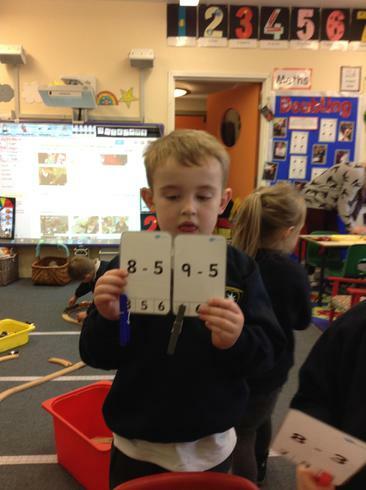 Elliott showed us some different instruments and played them very well! 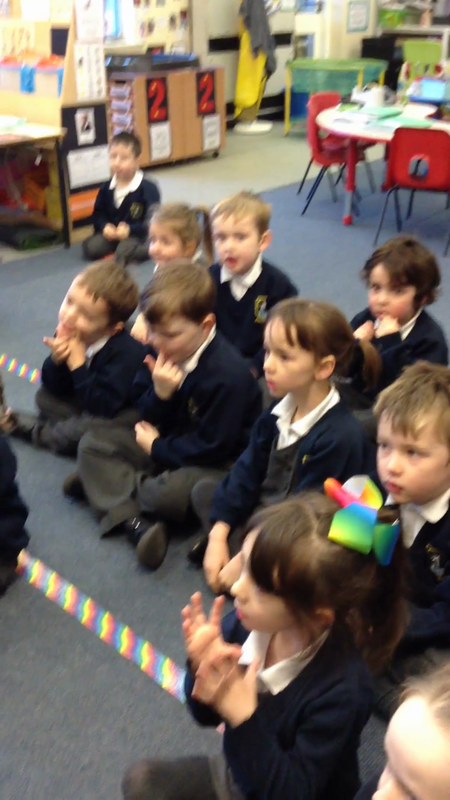 We sang some songs such as: The Wheels on the Bus, The Animal Fair, Twinkle Twinkle and many more... 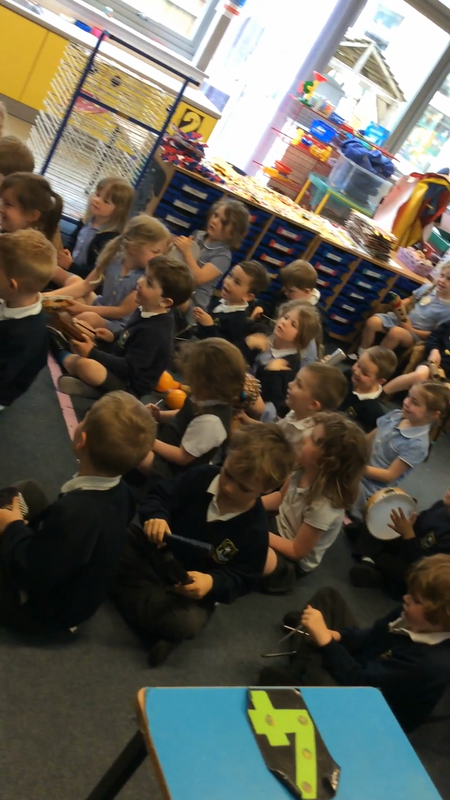 The children listened very well and were so excited when Elliott told us that we were going to have a turn at playing some instruments. 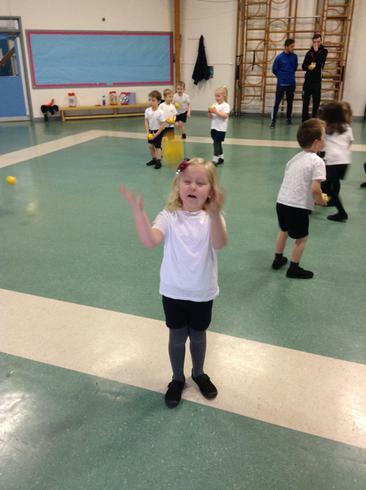 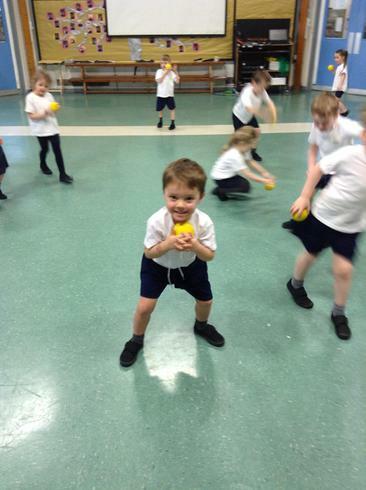 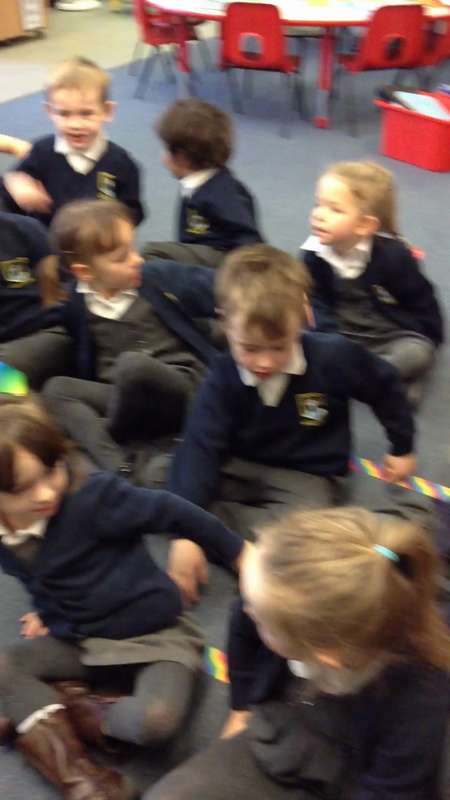 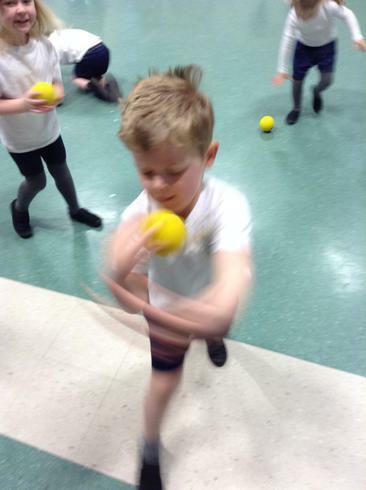 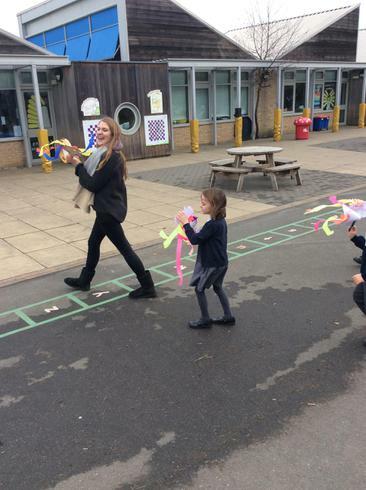 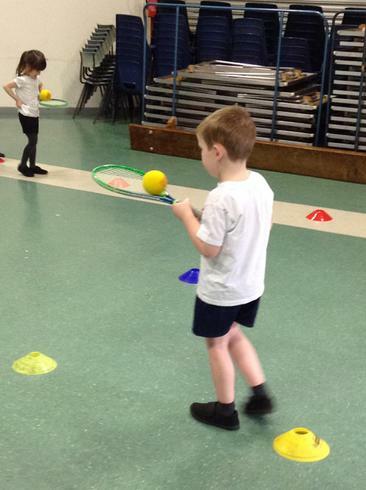 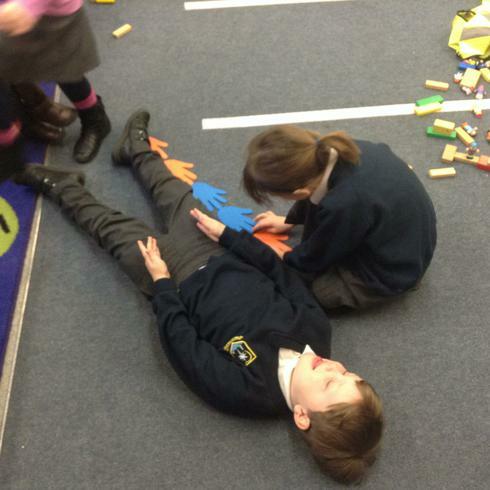 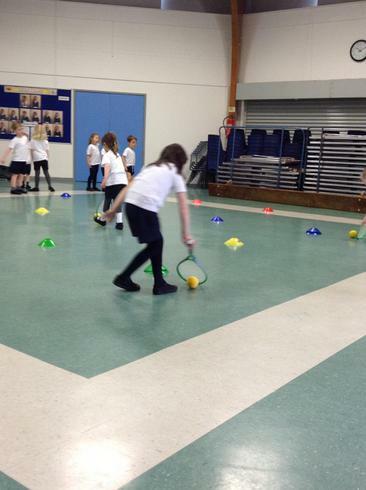 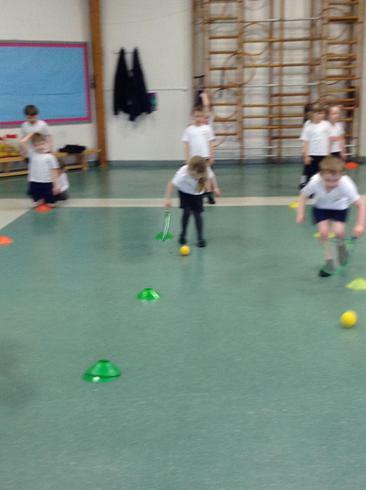 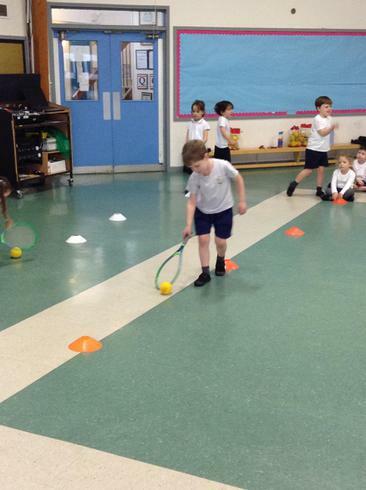 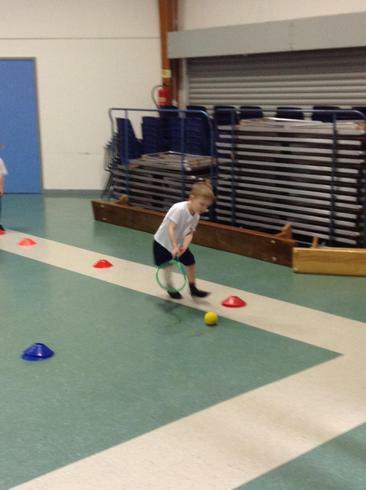 We learned to follow different movements, when to be louder, quieter and when to stop. 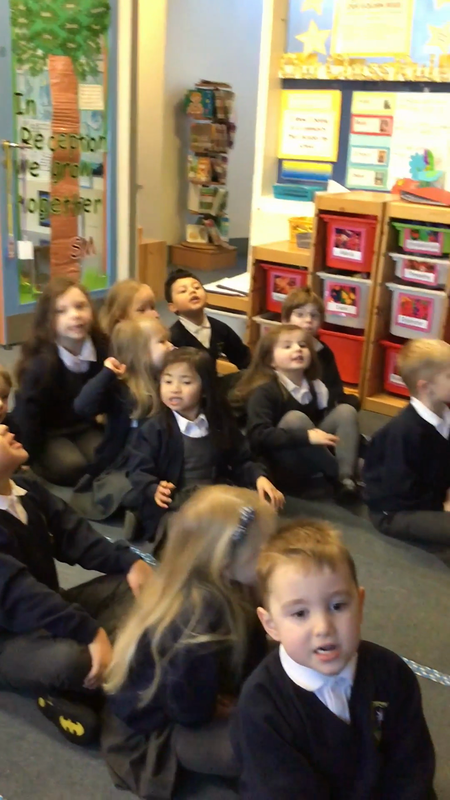 Some of the children then had a turn at being the conductor. 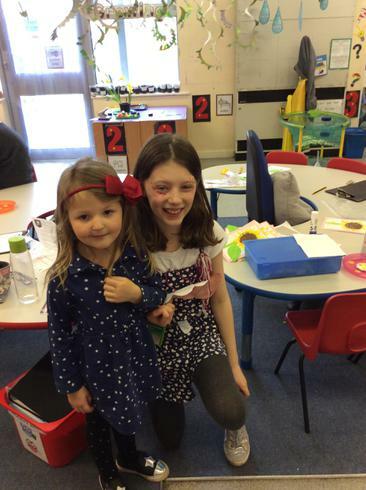 We had so much fun and we can't wait till next time. 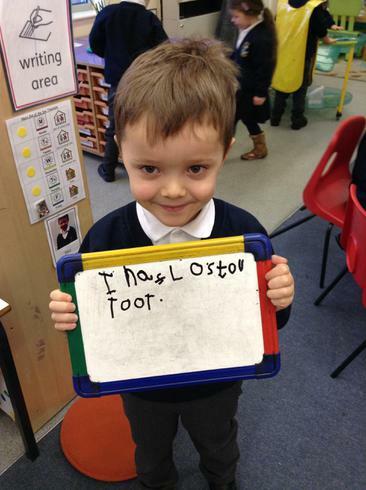 Thank you Elliott! 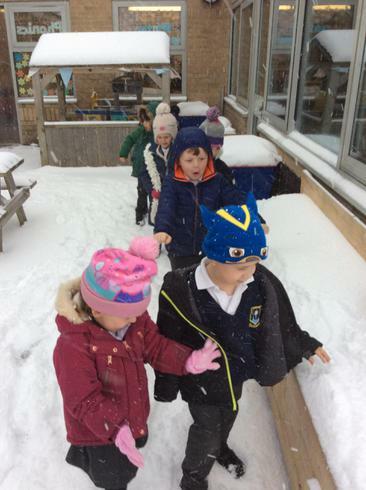 Yesterday we were super fortunate to have beautiful weather for our walk to the library. 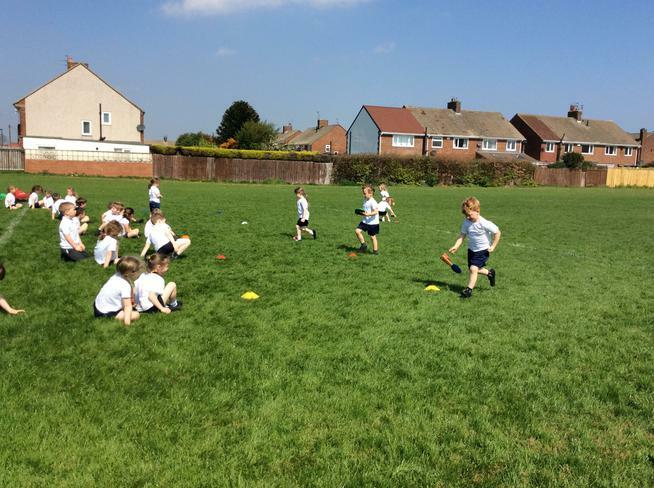 All of the children walked beautifully and sensibly even though it was very hot! 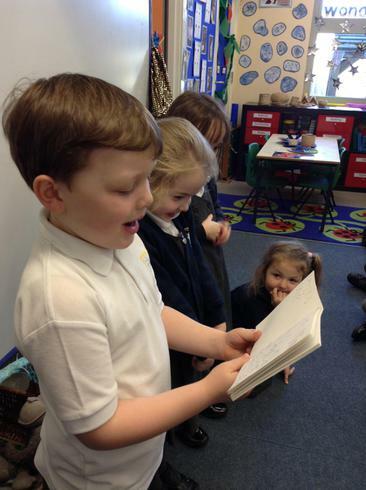 When we got to the library we listened to 2 stories, they were read to us by Andrew the librarian. 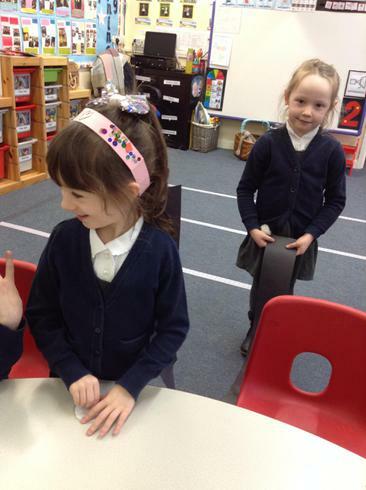 Then we each chose a book to take back to school and read. 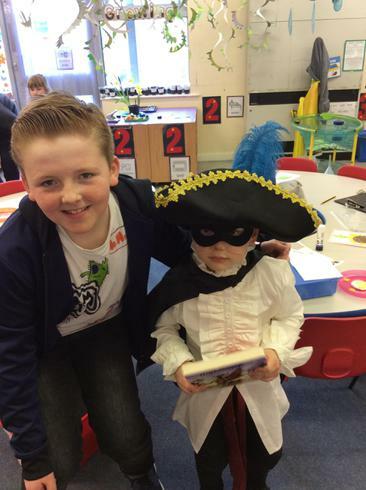 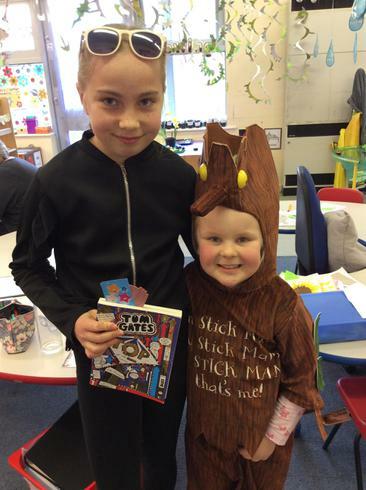 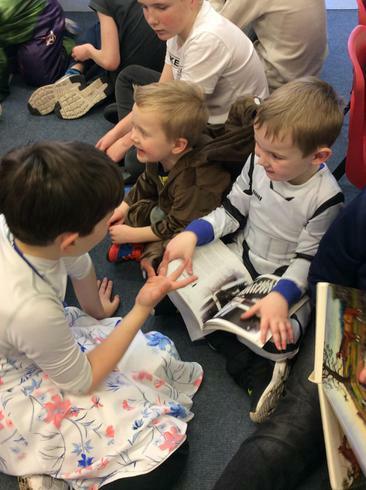 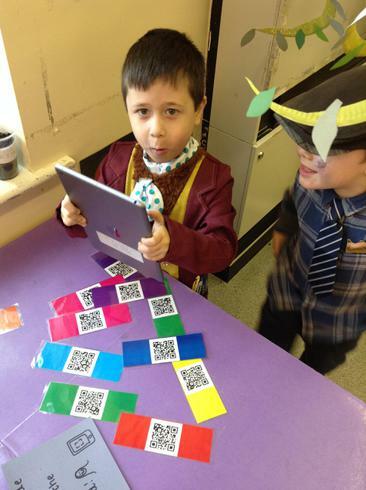 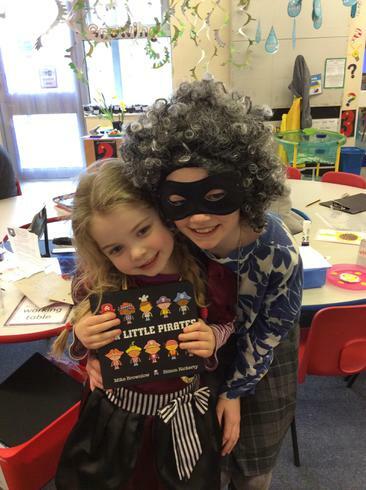 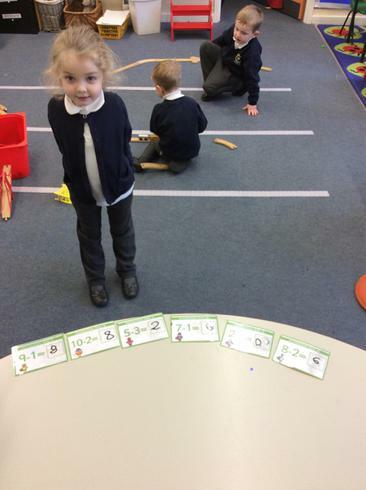 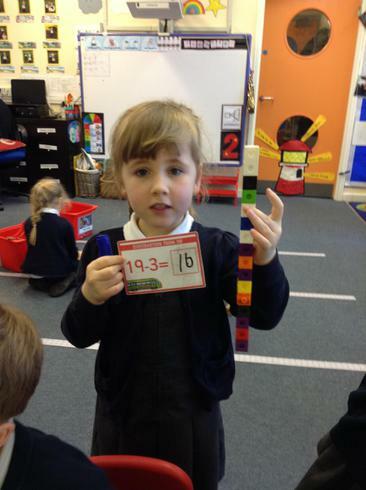 We all had a fantastic time and here are some pictures of the boys and girls with their books! 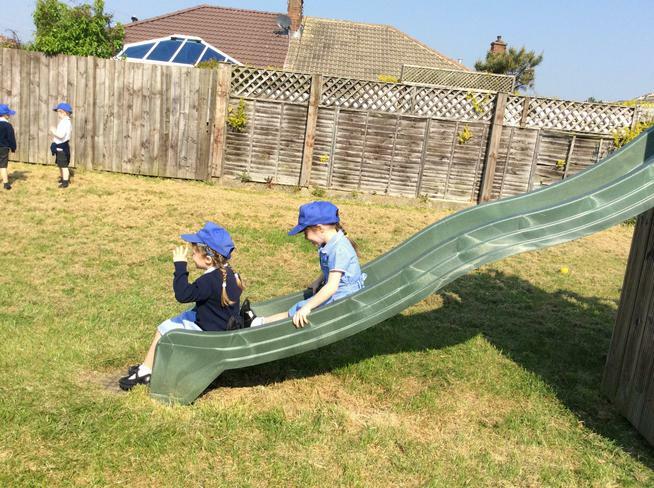 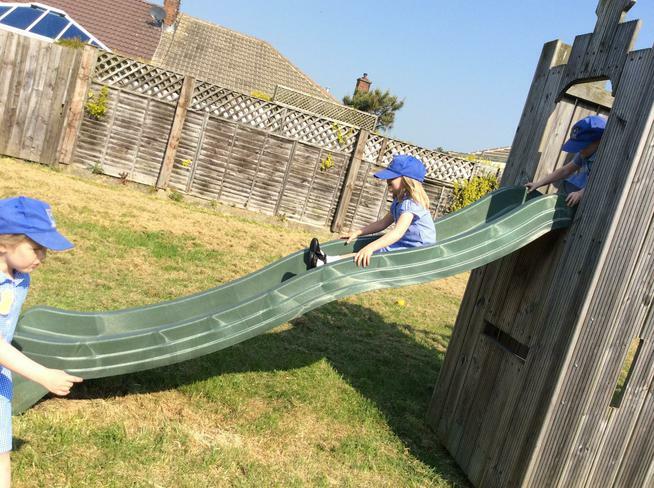 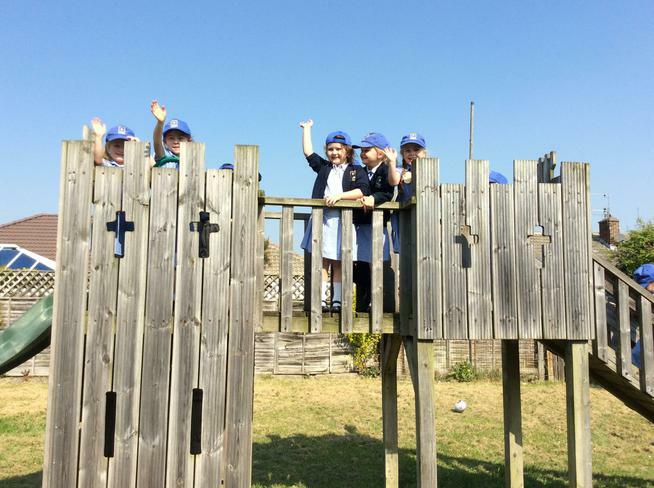 We have had such a fun day in the sun! 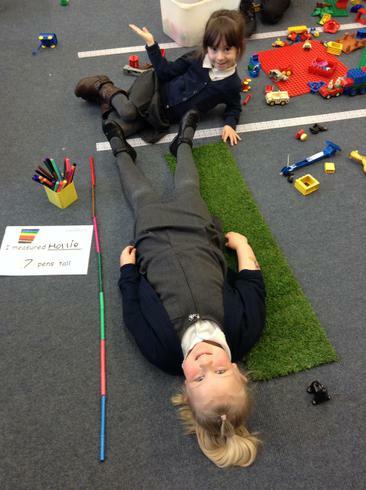 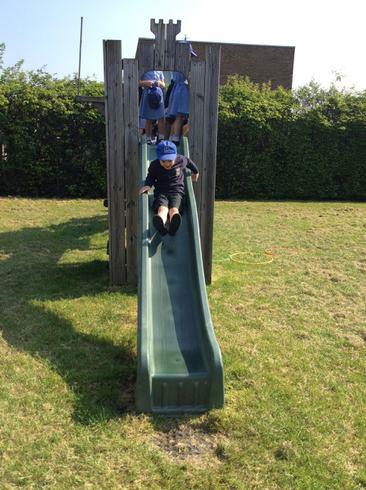 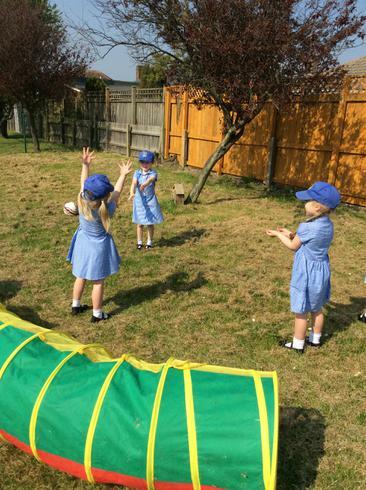 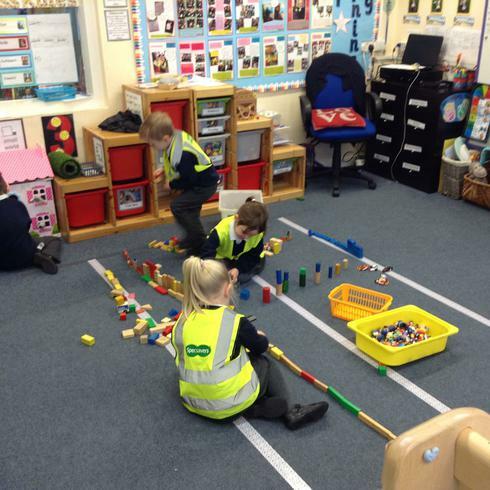 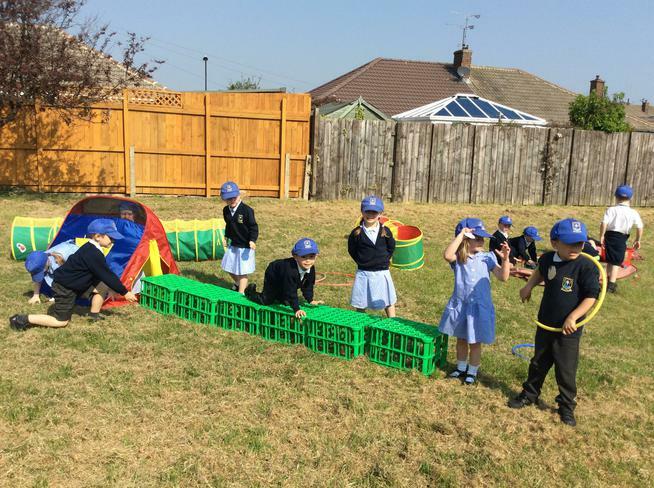 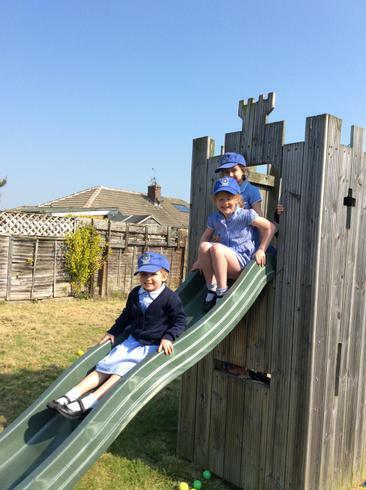 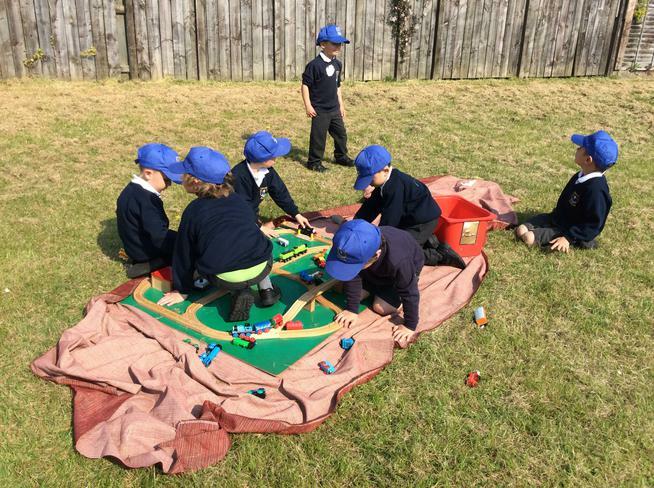 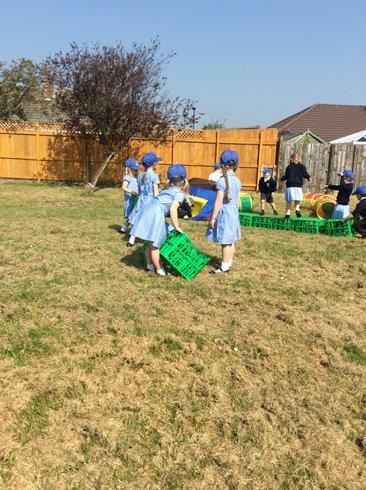 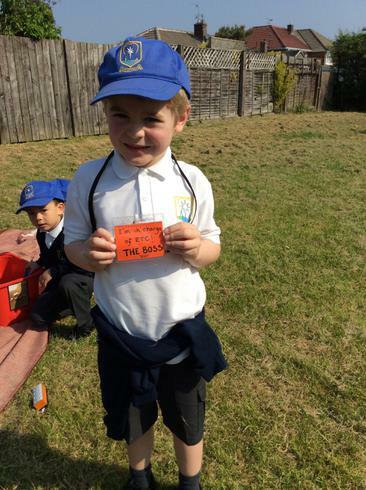 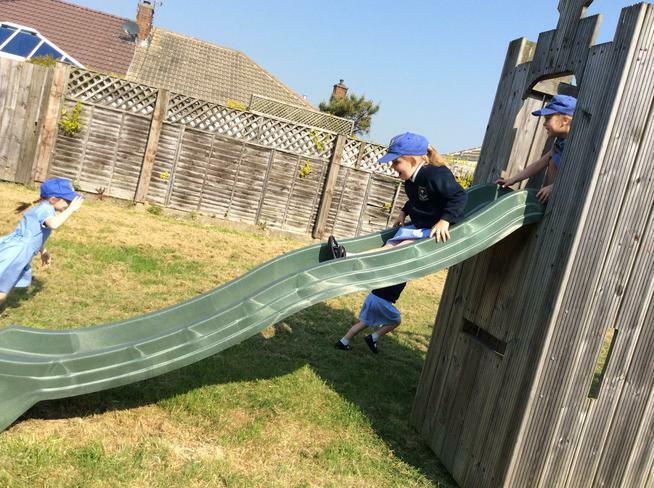 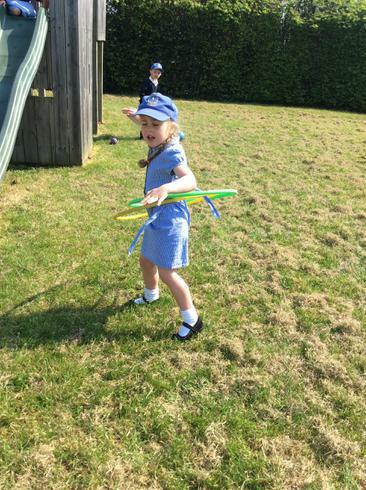 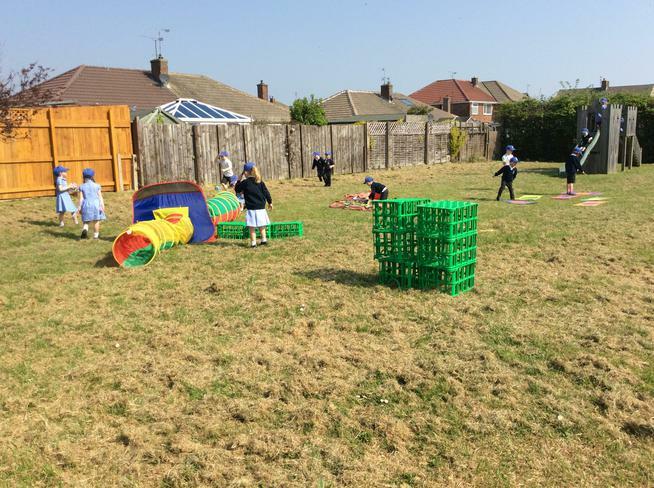 The children played lots of different games outside and were so excited to play on the castle. 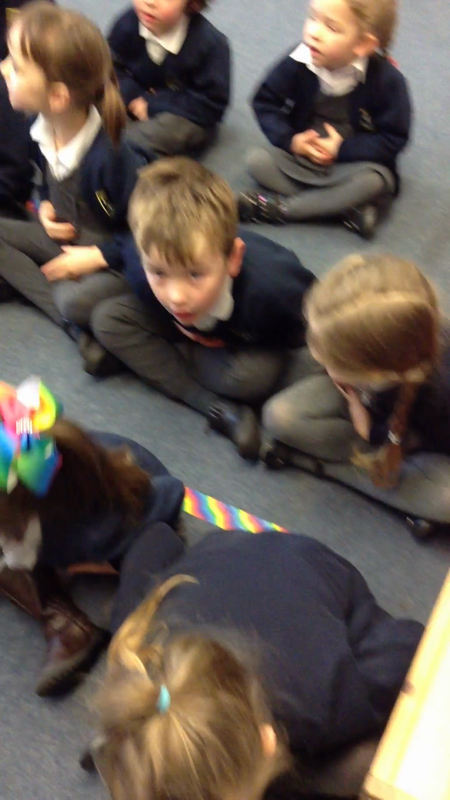 We even had a treat, everyone enjoyed their cupcakes.....yummy! 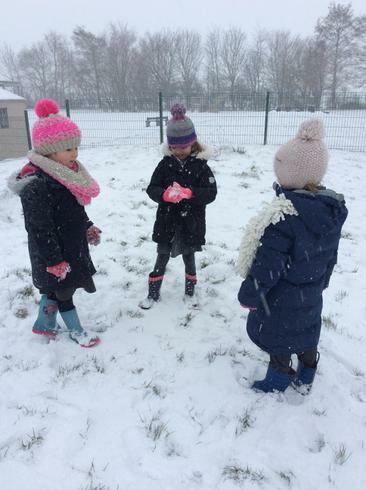 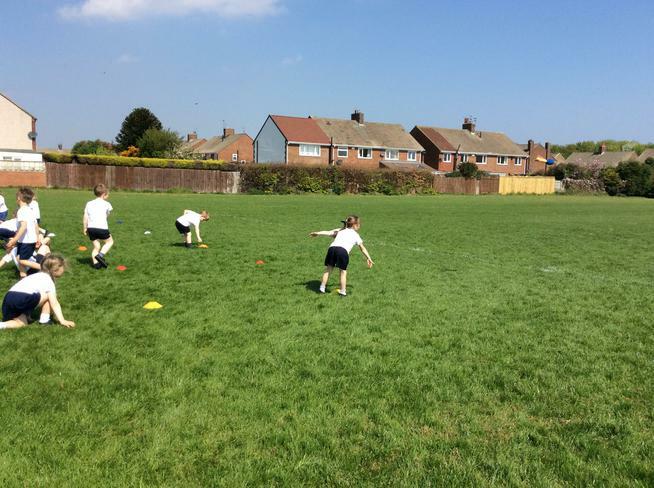 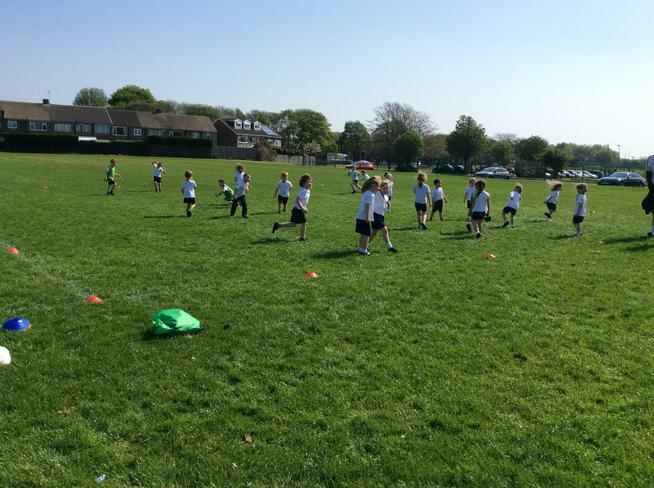 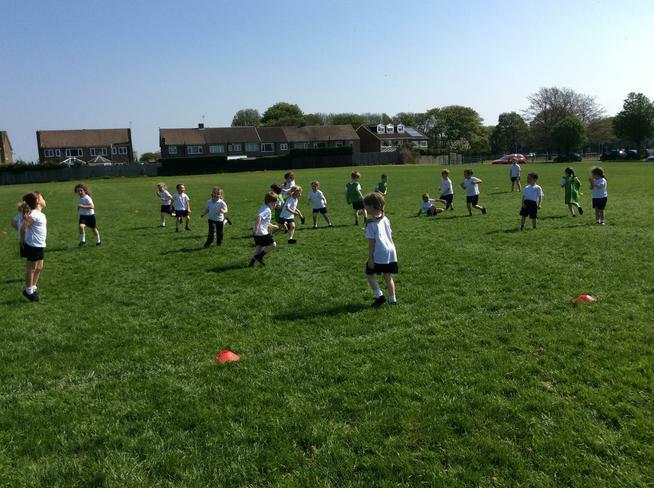 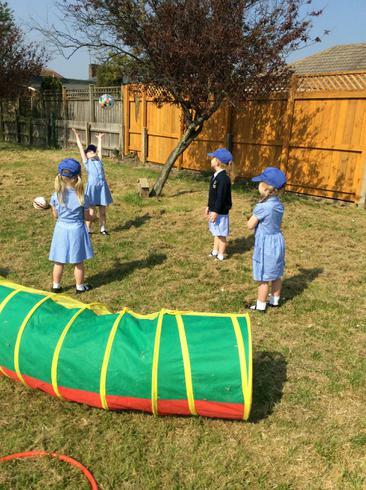 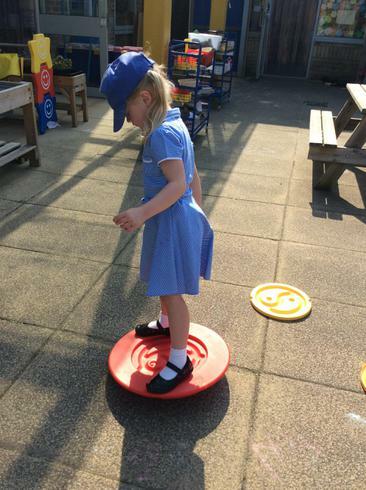 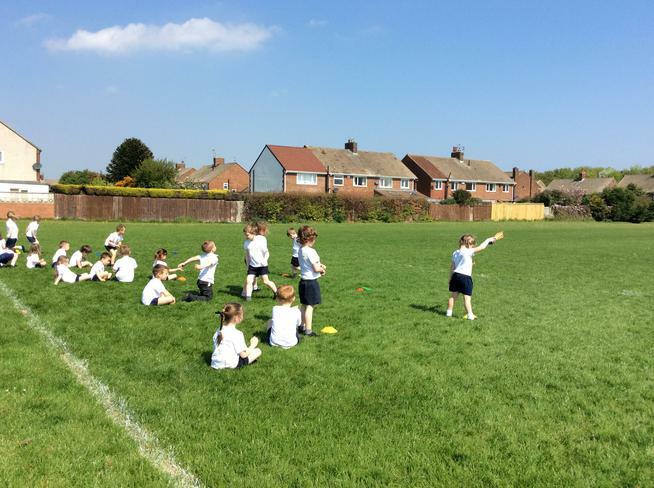 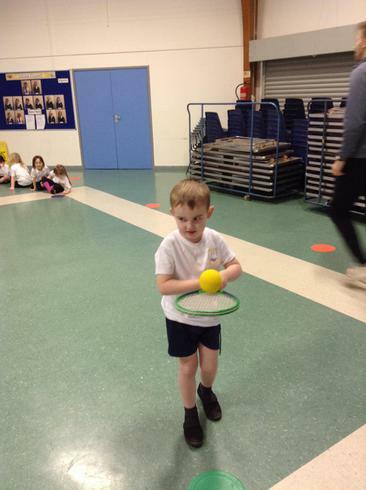 After we had a little play, we were fortunate to have P.E outside where the children played a game of stuck in the mud to warm up and then they practised their throwing. 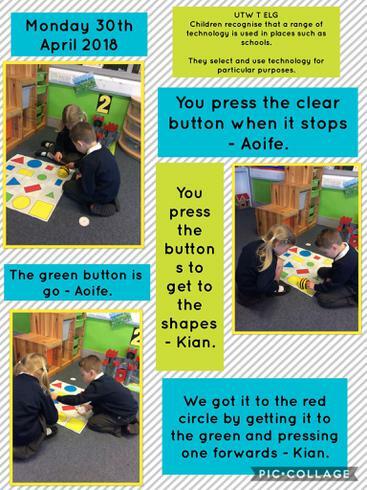 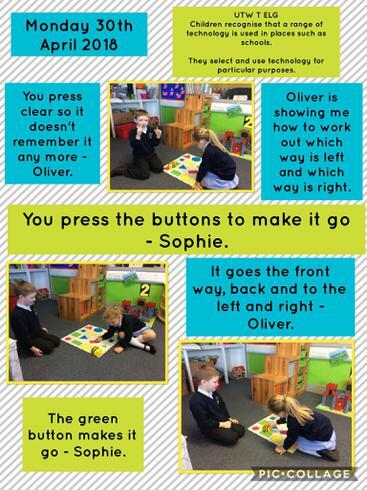 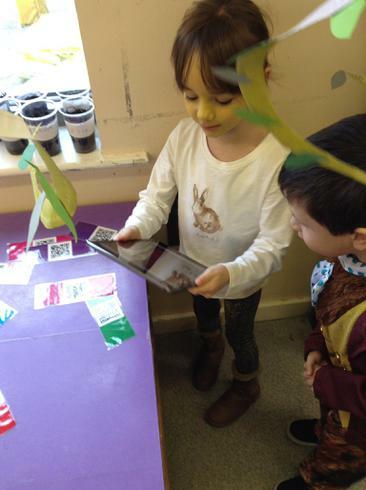 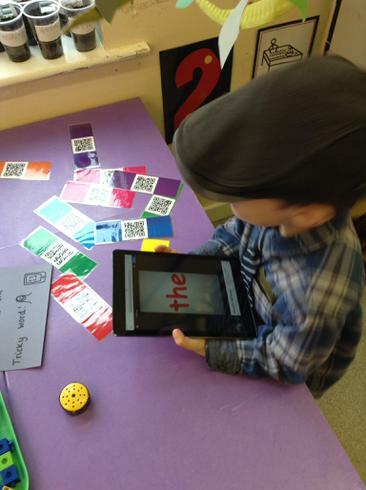 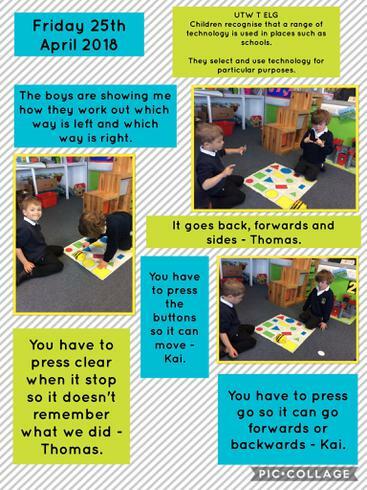 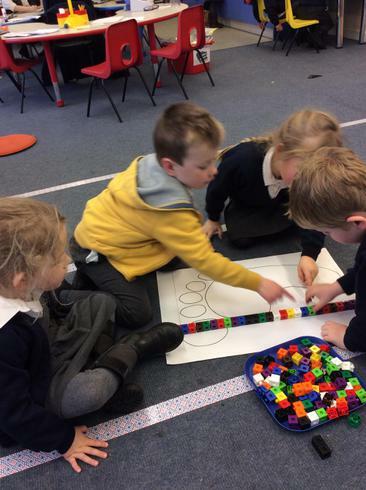 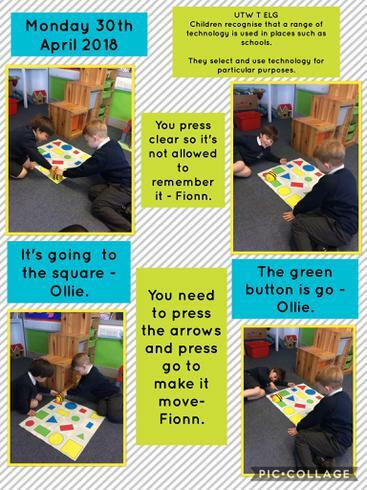 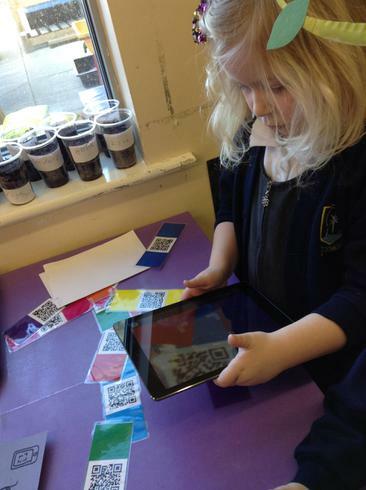 Today some of the children have been exploring the Beebots and how to program them. 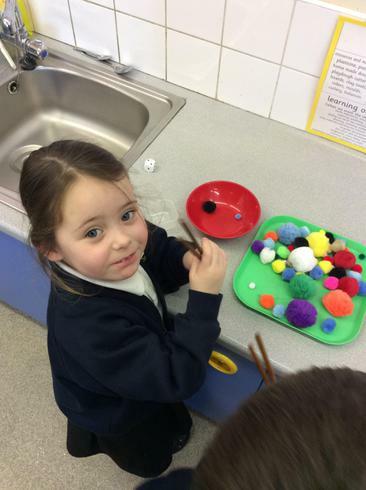 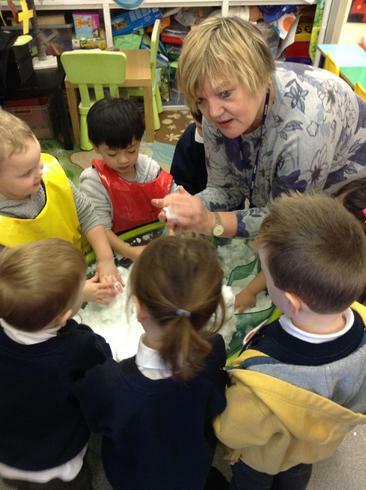 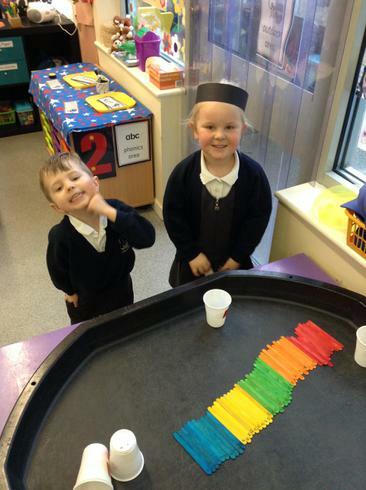 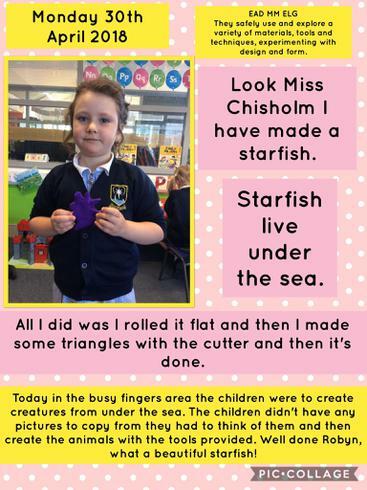 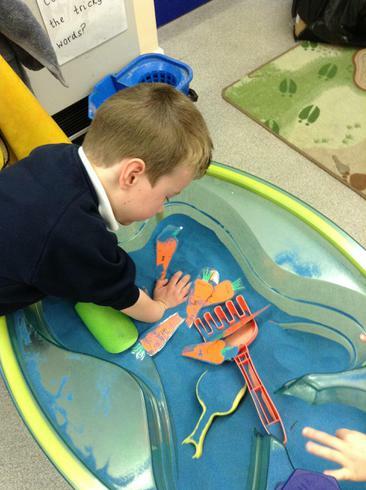 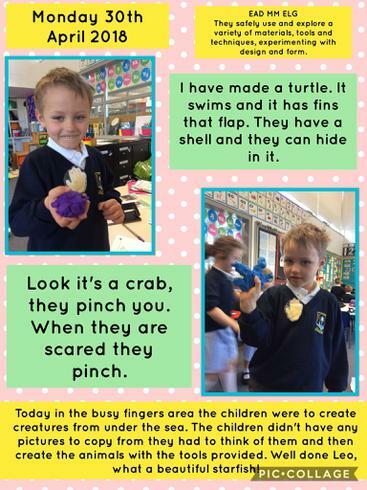 The children have also been creating sea creatures with the play dough. 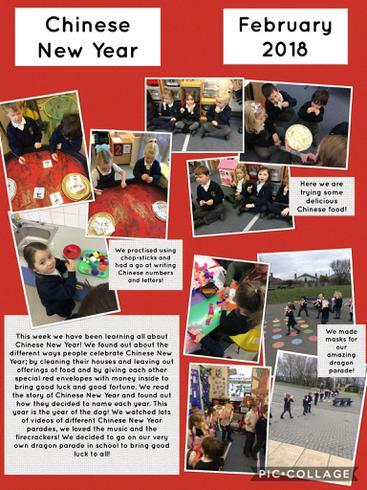 We have had a busy but fabulous day! 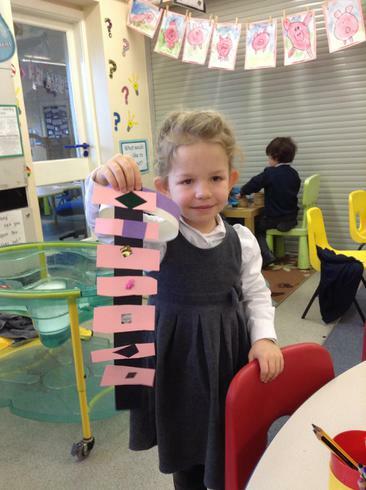 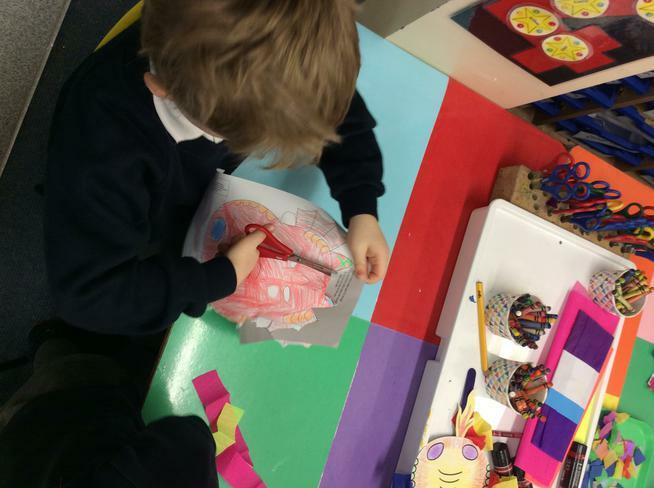 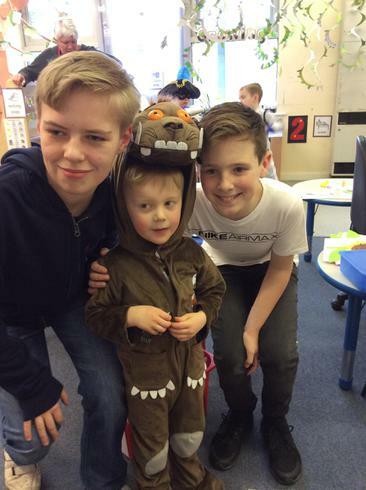 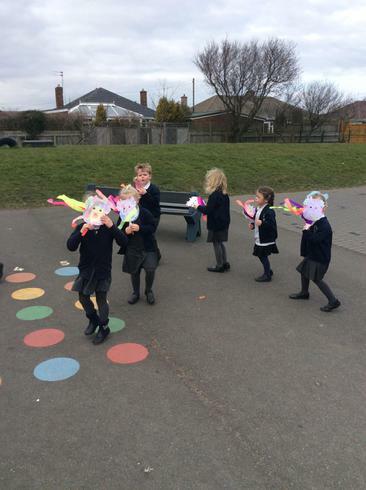 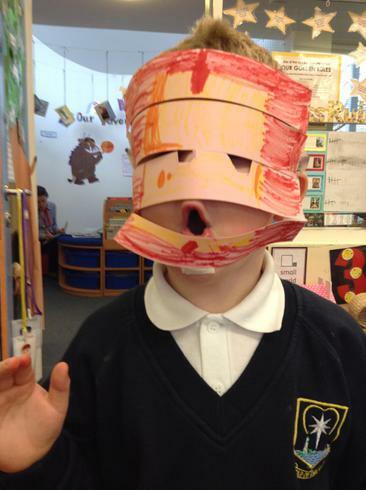 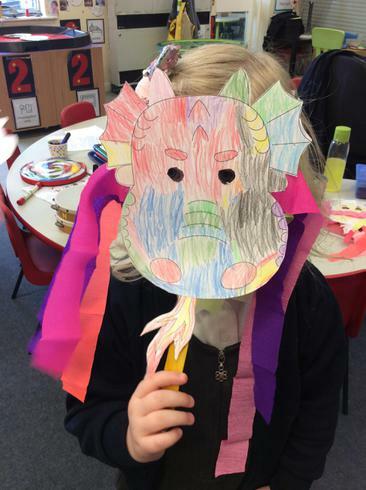 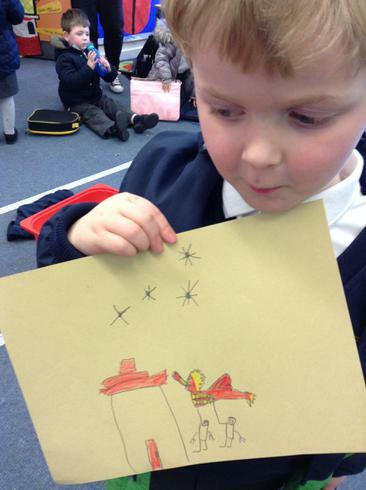 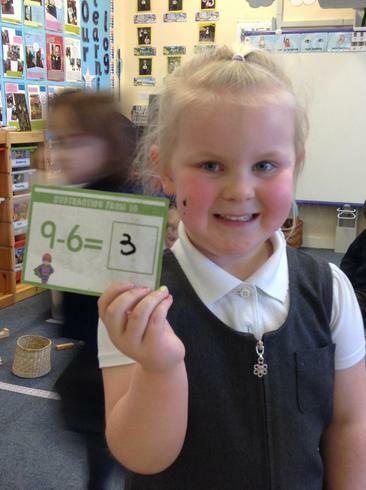 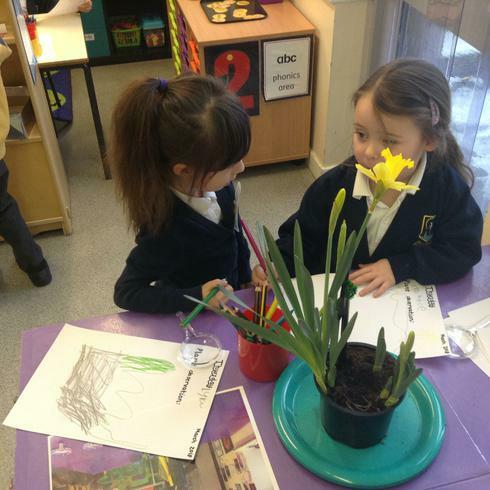 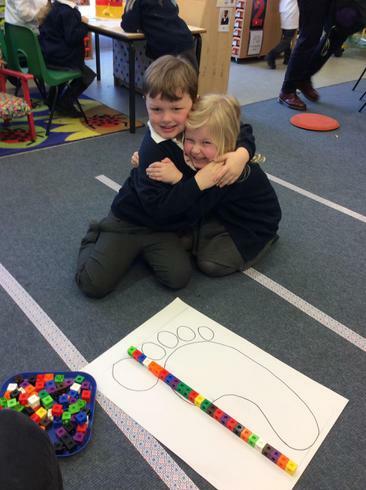 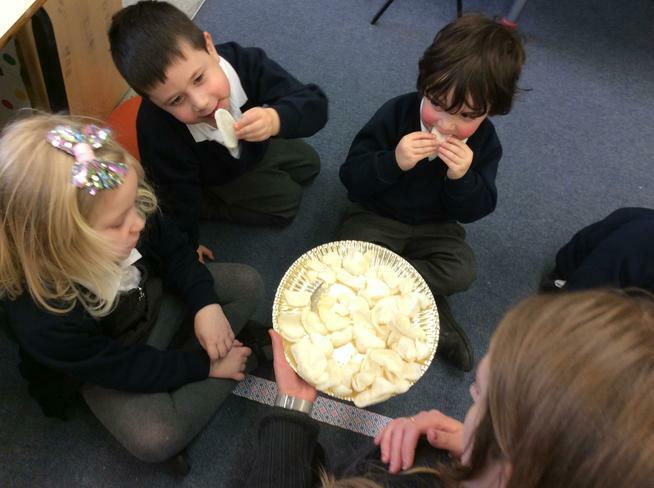 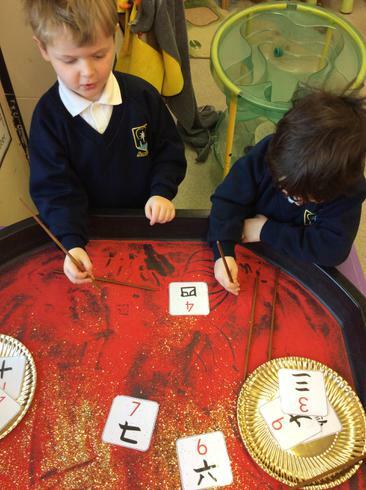 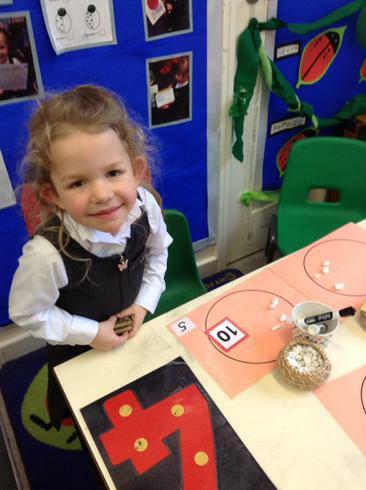 We have had so much fun learning the story of the Three Little Pigs as part of our Talk for Writing lessons. 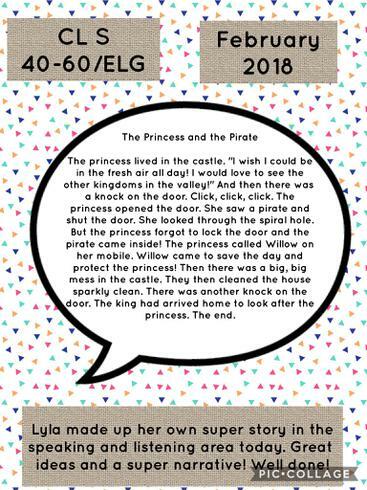 Please watch some small sections of the story in the videos below. 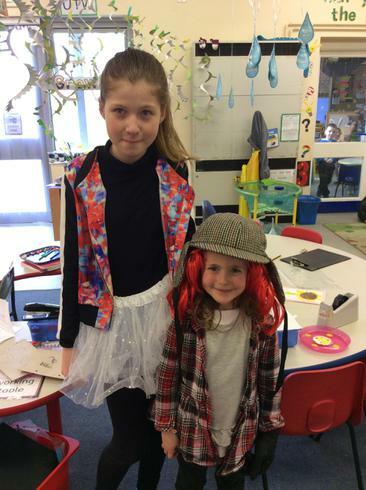 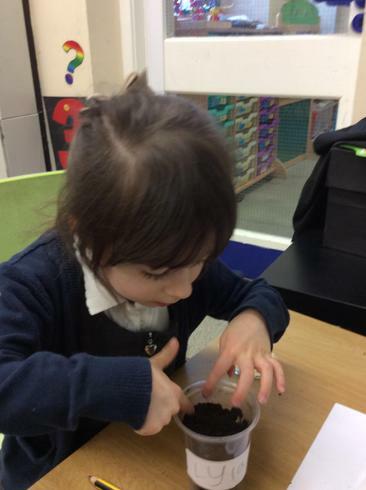 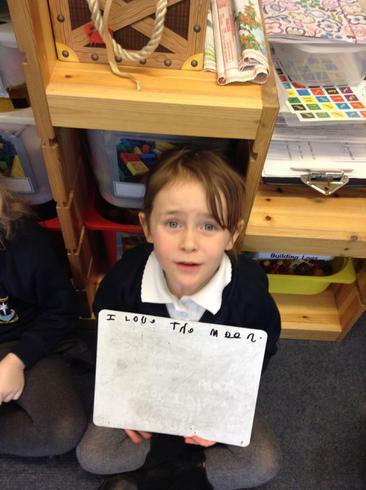 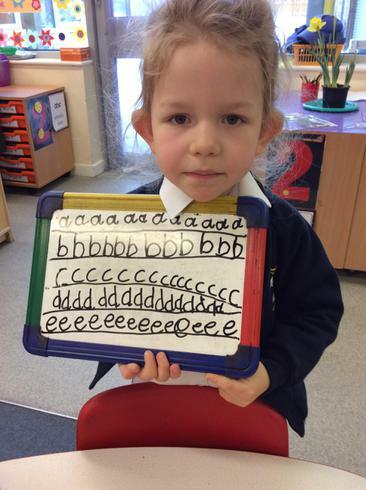 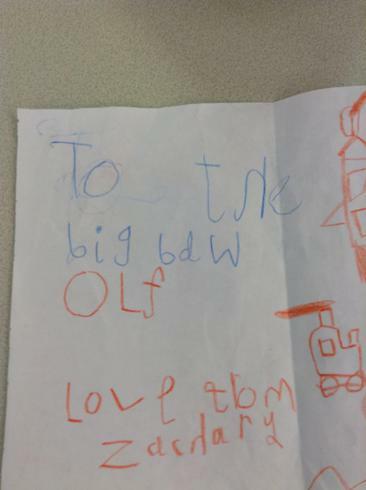 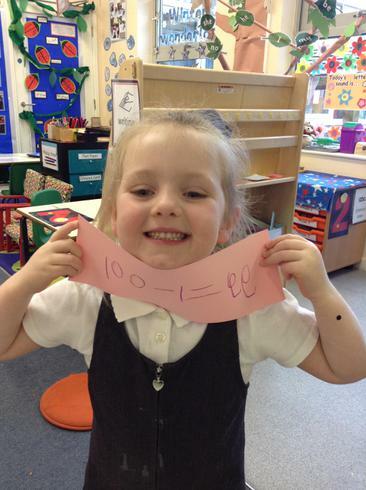 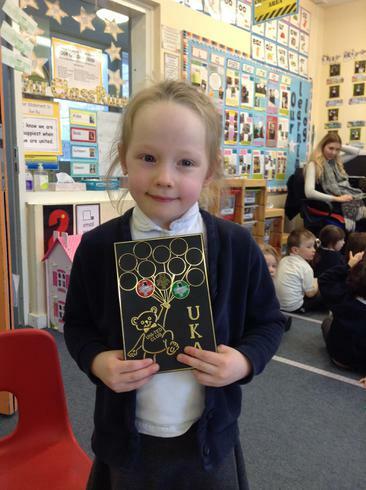 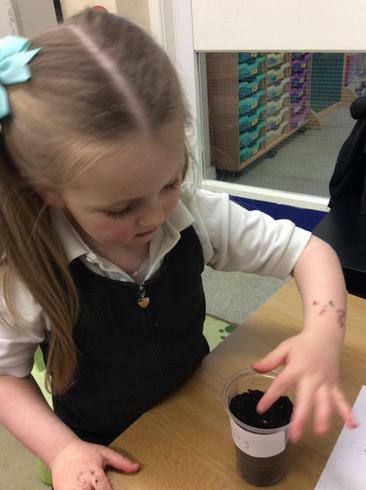 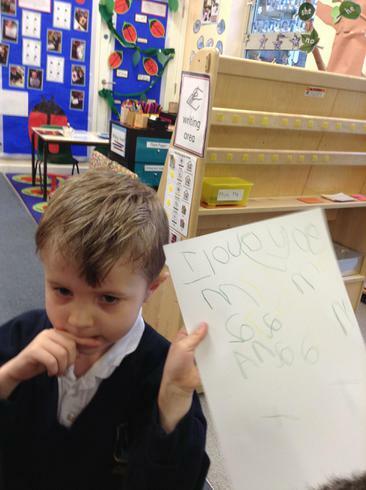 The children have also produced some amazing writing - watch this space for some photos very soon!